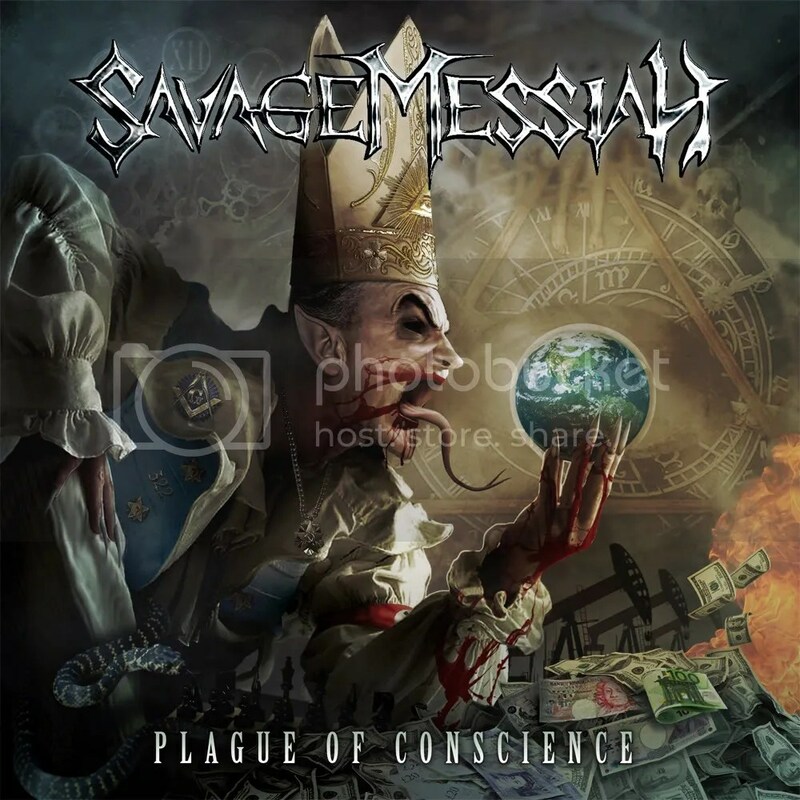 Savage Messiah are a band I knew absolutely nothing about until I watched music journalist Dom Lawson’s “Iron Sandwich” video review for Plague of Conscience. He gave it a lot of high praise so I figured since the album is currently free to download I’d be a fool to not sample it. This is the band’s third release and it’s apparent I’ve been missing out on this slice of British steel. I don’t know how this album compares to previous releases, but I’ve seen some places present Savage Messiah as a (retro) thrash metal band but they aren’t that at all. Thrash is just a portion of their sound, they are also equal parts power, speed, melodic and progressive. In short, they are HEAVY METAL. They don’t dance anywhere near the extreme side of metal (like Slayer) and the vocals of Dave Silver are clean & extraordinary. I don’t even get much of a retro vibe from them but they are certainly going to appeal to that community of old school fans because you can hear a bit of Priest, Maiden and Megadeth. Plague of Conscience has been made available as a FREE download over at Earache Records’ website, so download it while you can. I’d also like to point out that the download comes complete with artwork for the album cover, booklet (with lyrics) and back cover. The artwork throughout is just beautiful. A CD edition of the album will be hitting shelves (and distros) in January 2012. Granted, you shouldn’t take something just because it’s free but in the case of Plague of Conscience, Savage Messiah & Earache Records have given the public one hell of a deal and now the band has at least one more fan.